This is the first part in a series: Business Blogging for Accountants, Lawyers and Other Business Owners and Practice Managers. 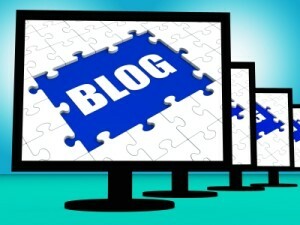 We are hearing a lot of talk these days: “The end of business blogging…,” The death of business blogging…,” yada yada. And truly, blogging stats are going down a bit from previous all time highs. What with the many other channels of reader engagement, Twitter, Facebook, and LinkedIn, among others, it might not seem worthwhile to start or maintain a blog at your practice website. Here’s the not-so inside scoop on small business blogging for accountants – SEO (search engine optimization) and social media-driven content can increase the number of targeted visitors to your business website, not necessarily because of all the great content you will produce (well great content does help), but because the helpful and/or insightful content that you do produce will be indexed by search engines. Post fresh blogs with unique content regularly and they will be found and visited by increasing numbers of people looking for the types of information, services, or products that you provide. Take for instance the typical small business accounting practice website of 12 pages. Add a blog and post fresh articles twice weekly and your website will have added 100 additional pages in a year’s time for search engines to pull up. And each new post can be cross posted to Facebook, LinkedIn, Twitter and other social media accounts that you may have. And that possibly means more interesting and engaging conversation that the typically banal: “I’m headed to the office poker game,” or “I’m taking tomorrow off to deal with personal errands,” and other uninteresting babble. … to be continued soon with Blogging for Accountants part 2.